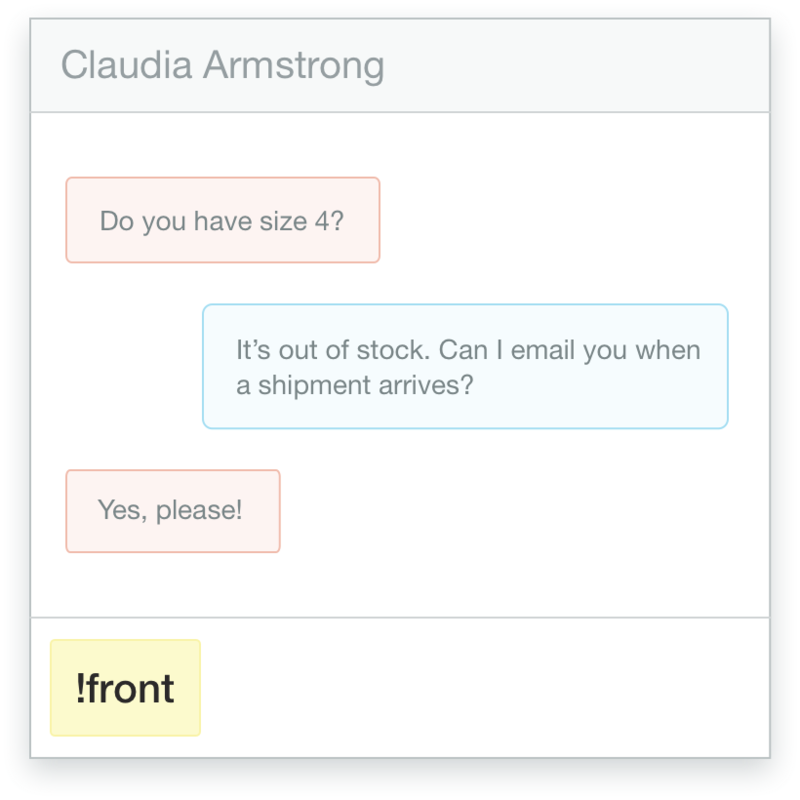 With Olark live chat software on your website, you can talk to more customers. If you’re using a unified inbox like Front, you can send those chats to your inbox for follow-up by your team. 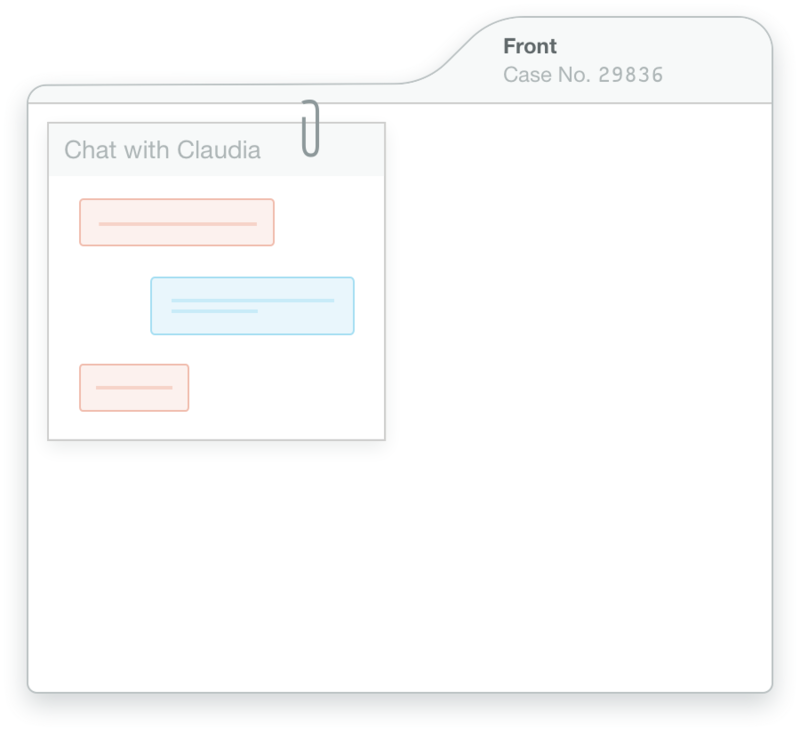 The Olark and Front integration also lets you send offline messages from the Olark chat widget to your unified inbox so you never miss a message! During any Olark chat as an agent, type !front and hit enter. 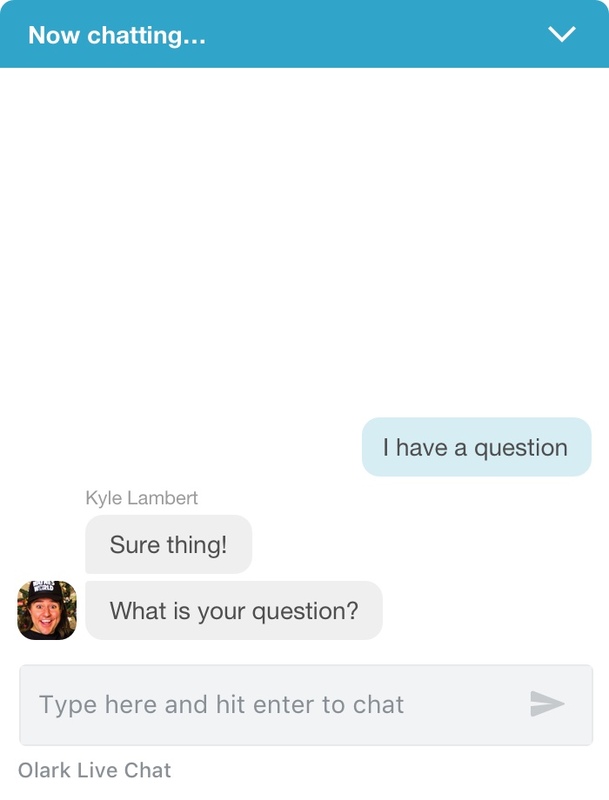 We’ll send the chat to your Front inbox. Voila! Here's a how-to guide for connecting Olark and Front. Ready to turn on the Olark and Front integration?